Who would have thought, another holiday filled with love, appreciation and CANDY. Valentine’s Day is all about candy and chocolate. Although it’s perfectly fine to splurge in life, we often over indulge ourselves when overwhelmed with many different sweet options at one time. Mix it up this year and have your chocolate and sweets along with something healthy. 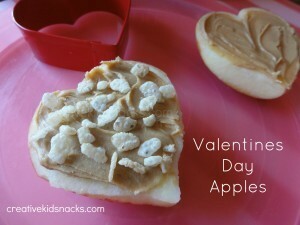 So how can you incorporate apples and pears into your Valentine’s Day? Besides the fact that pears are in some way heart shaped, there are Red Pears that go along with the theme. 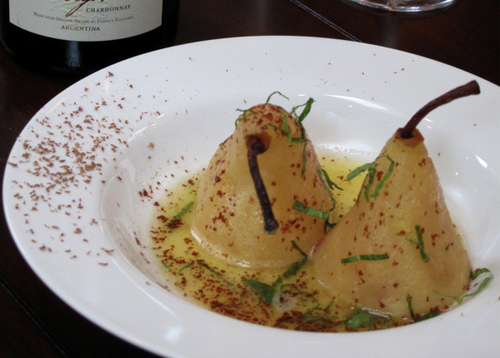 Incorporate some Red D’Anjou or Red Bartlett Pears into your planning. Or what’s better than a Pink Lady Apple? Try an option below, or search for your own creative ideas! How Cute is this? Choose your favorite apple variety, or try a new one! There are many different options for Red colored apples as well as the Pink Lady which suits the theme perfect. Slice the apple, getting rid of the core. Take a heart shaped cookie cutter and shave the outside of the apple into a heart shape. Spread some peanut butter and add some Rice Krispies over each slice. Make this healthy desert for just the two of you on the special night or for the whole family. All you need is 4 Bosc Pears, 2 cups of Prosecco, 2 cups of Orange Juice, 5 whole cloves, 2 medium cinnamon sticks, some dark chocolate (for garnish) and some fresh mint. Bon Appetite! If desert and pie is one of your favorites, these little heart pies are adorable! You can get pre-made pie crust or follow the instructions at the link above to make your own from scratch. All you need for the filling is 2 firm, ripe pears peeled, cored and cut, 2 teaspoons fresh lemon juice, 1 ½ tablespoons unsalted butter, 3 tablespoons granulated sugar, ¼ teaspoon freshly grated nutmeg, and 1/3 cup fresh raspberries. Lightly beat 1 large egg yolk and 1 tablespoon of heavy cream for egg wash and have some sanding sugar for sprinkling. As you can see, both Apples and Pears are very fitting and will tie in well to anything you’d like to plan for Valentine’s Day. Enjoy the day with your loved ones while continuing to make healthy eating a fun experience.